I love the blogging world. Especially the FOOD blogging world. So many people in so many different parts of the world, all coming together over good recipes that bring comfort and ease to the day. I did a quick search for oatmeal recipes last week, because I had purchased a gigantor box of rolled oats and felt compelled to do something new with it, besides my same ol’ breakfast options. Blogger Elsa of The Whinery (great blog name) came up in my search with her amazing Peanut Butter Banana Oatmeal (say no more) and since I had every single item the recipe called for, I hopped to it! It was simply amazing. Tasted like an oatmeal cookie in a bowl. With cream. I swapped out cherries for cranberries and dusted the top with extra demerara sugar (raw), which gave everything a lovely molasses flavor. I’m in love. I’ll be making this again, for sure. It was so easy! I think it would work great with any milk and I thought it needed an extra splash of milk to make it palatable for my wee one. I could have eaten the entire thing out of the pan as it was. 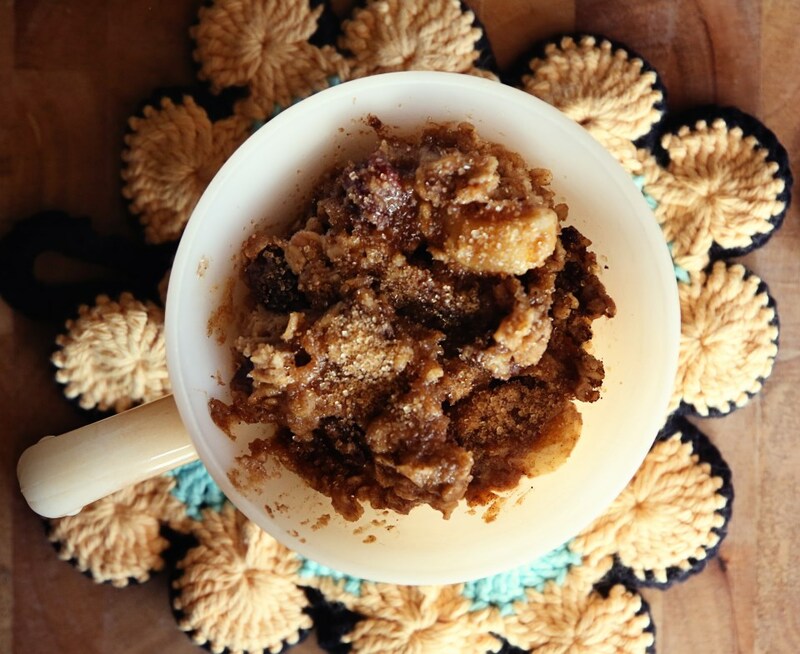 Thank you, Elsa, for making the world just a little bit sweeter with this recipe! A handful of dried cherries, cranberries, etc. Preheat oven to 350F. 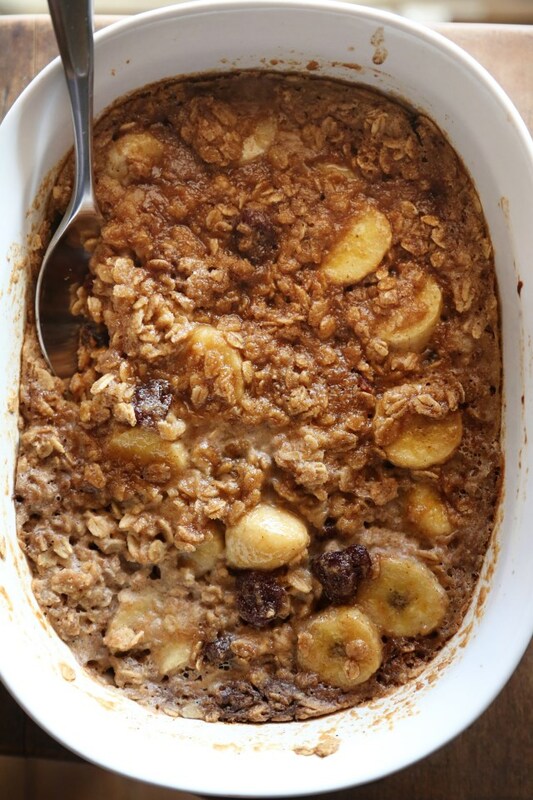 Combine the oats, sugar, baking powder, salt, cinnamon, and nutmeg in a casserole dish or deep baking pan. Whisk milk, peanut butter, melted butter and vanilla together in a small bowl. Add banana slices and dried cherries to the oats and pour milk mixture over it. Stir gently until all oats are covered. I had to add about an extra 1/2 cup to ease my mind. Bake for 25 – 35 until the top is nicely golden and the oatmeal has set. Let it cool and serve in bowls with extra milk and sugar, if desired!